Charly Gürtel was born in South West Africa (nowadays Namibia) in 1911. Being unemployed and without transport for a long time, he walked many kilometers in the Namib Desert in search for work. During these hard times, farmers often offered him a meal and accommodation. The lonesome walks in the Namib Desert had an unforeseen advantage as he got to know the desert like none other. His first mode of transport was a donkey cart with rubber tyres and water tanks, which he built himself. When he sold the donkey cart, he bought his very first Land Rover. 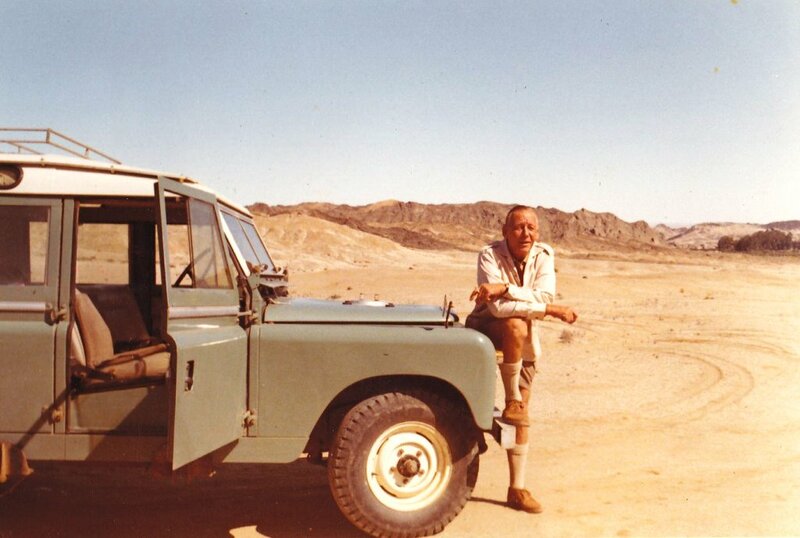 His knowledge of the Namib Desert was remarkable; he was extremely knowledgeable about minerals, fauna and flora. Being a tall man with blistering blue eyes and a gentle nature, people loved to experience the desert with him. Charly became a legend in South West Africa and he became known as "Charly, the desert fox". He founded the company which was initially called Charly's Atlantic Tours. 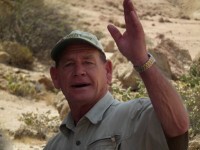 Now "The Godfather" of Charly's Desert Tours and a true role model for all our guides who take clients into the desert. Charly sadly passed away in August 1984 but his philosophy lives on. 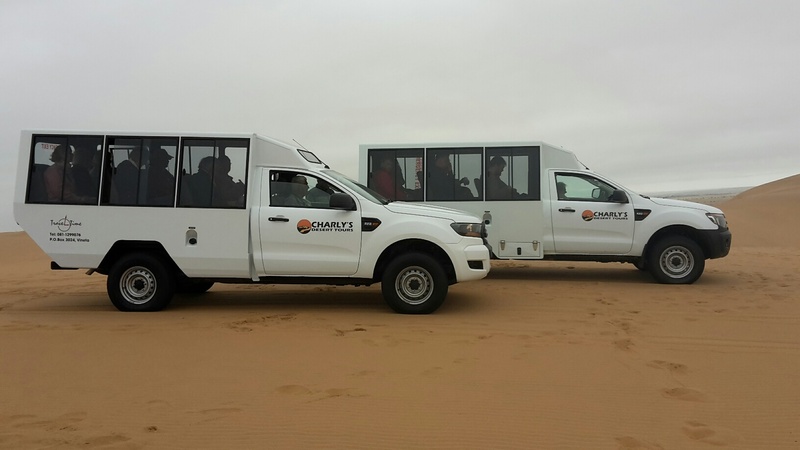 In October 2013, Gerald Kolb became the proud owner of the legendary Charly's Desert Tours. Since 1997 Gerald has been working in the tourism industry, initially guiding private camping safaris in Namibia, Botswana, Zambia and Zimbabwe. This gave him the background knowledge of the tourism industry, and the experience in working with guests from many different cultures under many different and difficult circumstances. 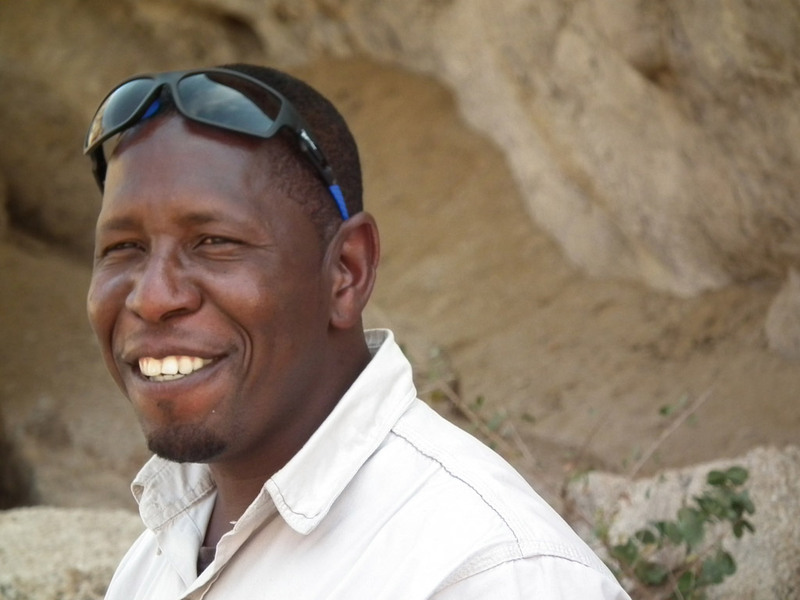 Eventually working for one of Namibia's leading DMC's, Gerald became involved with planning and coordinating inbound incentive travel, event management and conferences for many years. 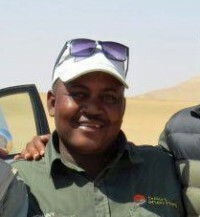 Changing circumstances awakened his old passion for guiding, which led to starting a small company called Travel Time, which offered interesting and informative half day tours in the Swakopmund area, where guests learn about the desert ecology and how the ancient cultures utilized many of the plants daily which are found in the Namib Desert. 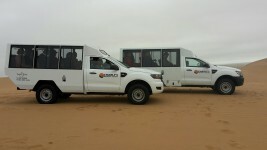 After successfully building up "The Desert Tour", Gerald started Travel Time's second product, the "Swakopmund City Tour". 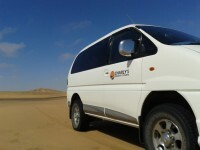 When the opportunity presented itself to take over Charly's Desert Tours, Gerald combined Travel Time and Charly's Desert Tours and is now trading only under the grand old brand name of "Charly's Desert Tours"
A passionate and very experienced guide. Harald has been guiding day tours in the central Namib for more than 7 years and shares his insight into the beautiful surroundings, the geology and flora of the desert with passion and the calm professionalism as only many years of experience can create. It is a pleasure to explore the Central Namib and coastal areas with knowledgeable guides like Egon. He has been with Charly's Desert Tours for quite a few years and knows just what to share with his guests. His sound knowledge of Fauna and Flora, German Colonial History and the Namib Desert in general make Egon a truly well rounded guide. Another loyal "old Charly's guide" with a sound knowledge and understanding of the Namib Desert and with the passion to share years of experience with our guests. Not only does Jochen share interesting information about Fauna and Flora, but he has a keen interest in the mineral wealth of the Namib too. Jochen is friendly, passionate and loves the outdoors. Kooitjie knows the desert, he knows it well. 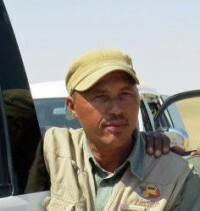 He is a gentle man with great respect for the desert, with good knowledge and a love of working with people. All the qualities we at Charly's appreciate and look for in our guides. Kooitjie is from the Topnaar comunity who still live in the desert environment today. Kooiitjie speaks English, Afrikaans and of course his mother tongue Nama. Sometimes we call Johnny "captain eagle eye". Johnny's capability to identify and discover even the smallest sign of life in the soft dune sand is truly amazing. Reading tracks of little creatures that are blown over by the winds is quite an art, but Johnny with his no rush attitude and relaxed personality will find almost anything. 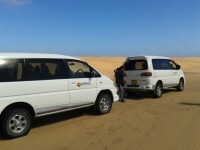 Ernst is an experienced guide and at his most comfortable out in the dunes. His trained eye finds all the life in the dunes, no matter how small, and he shares this with great passion, making sure you get the pictures of a lifetime. His intimate knowledge of the local area and his friendly smile makes it a pleasure to travel with him. His father once owned a small local company much like ours, specializing in the Namib Desert around Swakopmund. So from a young age on Frank learned about the desert from his father. Today Frank is a highly experienced guide with a vast knowlege of the desert, especially the flora, geology and of the local history. Nick's bubbly personality and friendly laugh is wonderful to have on any tour. Nick has been working as quad-bike guide fo many years, and now prefers to stick to our day tours. An experience dune driver, Nick is often seen on our popular Living Dunes Experience. Zimbawe born Bawden is a real peoples person. He loves conversations with his guests on tour and guests can tap into his broad knowlege of namibia. 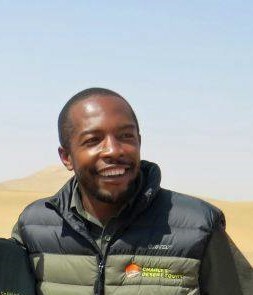 He first came to us introducing the Namibia travel guide he published a while ago. He had put a lot of research into compiling this book and it shows. And there are a few other guides our travelers may meet on occasion. Konny von Schmettau, Klaus Eisenberg, Erwin Jeske and a few others. The old Charly's Land Rovers have since gone on well deserved retirement. 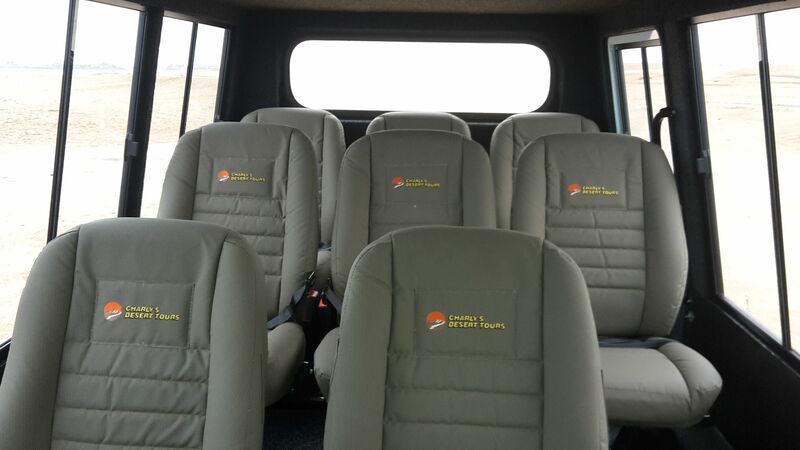 Today we own and operate a fleet of six-seater Mitsubishi Delica 4x4 vehicles, comfortable, air-conditioned and very capable to handle all the Desert can throw at it. The recently added Ford Ranger 4x4, 9 seater conversion is hopefully this first of many of these custom build vehicles. 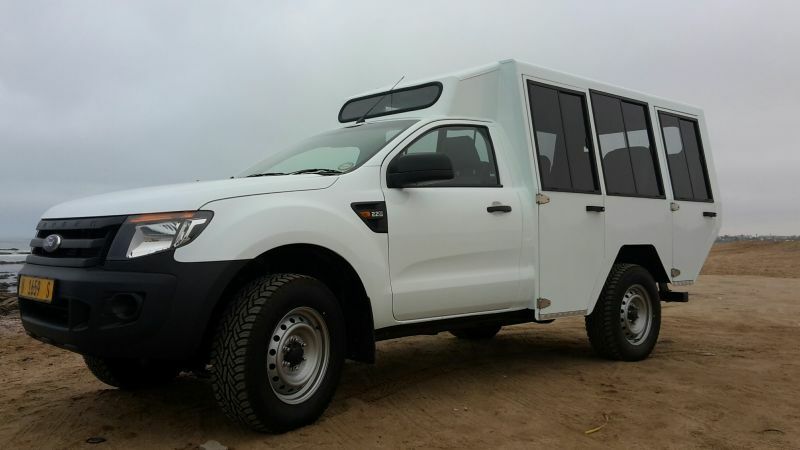 Although not air-conditioned, the Ranger has large sliding windows to allow the fresh coastal air to be the best air-conditioning.